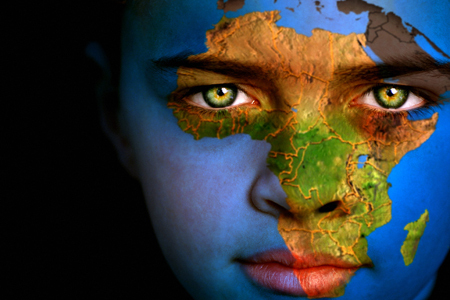 Is Africa ready to have a DotAfrica domain name! I know the first thing when you read the title of this blog, you were thinking why am i asking such a question. Well, while attending Tandaa Symposium Conference on Thursday which was sponsored by Google at Intercontinental hotel – Nairobi, Kenya, there was an organisation advocating for DotAfrica domain name (.africa). The presentation attracted a lot of attention from the attendants whom had been invited to the conference. A lot of whispers were in the air and by the looks of it majority of the audience were not sure if they are ready to adopt DotAfrica. Will the success be unpredictable like .EURO, .Travel, .Asia? How many African companies will adopt it since they are already using their own ccTLDs such as .co.za, .co.ke, .co.ug, .co.bi, .co.rw, .co.tz? So is Africa ready for this domain name! What’s your take! Yes indeed good question, Africa needed it sooner than yesterday. Will you purchase one if the DotAfrica domain is available! YES YES, i’m waiting with baited breath to purchase and shift, i will point all my other domains to the .africa one. Wouldnt be good to have our own TLD, an umbrella domain for africa, I mean i know many would want to view this as a sort of an opposition to the existing ccTLD’s forgeting that from the .africa we then get to the ccTLDs which will draw the formula of the already used cctld’s . I see this as a uniting factor and the epicenter of interest rather than negative energy i see a shift to the better when all owners of domain adopt the .africa. I has much to gain. Well ofcourse the journey would take time but once its on flight, trust me you wont put it down. It would be great to have DotAfrica domain name. However for it to be successful, we as Africans will need to fully support it. I also believe the cost of the domain name will also play a huge role considering that .com domain name is very affordable! Definitely there are a lot challenges, but i believe it can turn out to be a success story! I see your point G. It’s true that there will be challenges to sell the DotAfrica since most countries use their own ccTLD. However, its also true that if the DotAfrica overcomes and survives the challenges then its going to be the next big thing in Africa and will re-unite all African countries! In additional, DotAfrica will need to get it right the first time in order to be successful.